Today’s Mouthwatering Moment excerpt is from Bolton Carley’s non-fiction piece, ‘Sophisticated Palette…Not so Much’, from the 6S network. When it comes to my husband’s food passion, routine and consistency generally trump variety. His brother is no different, as every day I am expected to pack the same traditional granola bars, gala apples, and sandwiches for their lunches. In my sleep, I cake ketchup and mustard on wheat bread, slap on slices of Kraft American cheese, and ponder the meat selection like a witch that threatens, “I think it will be you, my pretty” as she throws one into the bubbling caldron. In my attempt to spice up their daily noontime meal, I rotate between turkey, barbecued chicken, roast beef, roast pork, hard salami, and their oh-so-healthy personal favorite: bologna. This week the slices-of-bologna to number-of-sammies ratio was not equivalent so I promptly warned my hubs that one would be downing Oscar Mayer b-o-l-o-g-n-a while the other was stuck with icken slicken (his term for chicken) today. Aware that there will be a mad dash for the bologna, I can only imagine Chariots of Fire streaming in the background as they, in slow motion, race to the lunchbox tearing the sandwich out to raise it up in victory like a gold medal or a chunk of the Berlin Wall. Favorite drink –Although I’m a regular Mountain Dew girl, you can’t beat a traditional strawberry daiquiri, but if you really want to do it up right, just line up the Cool Whip-covered Jell-O shots! You can find Bolton’s humor blogs at www.boltoncarley.wordpress.com and www.boltoncarley.blogspot.com or her middle grades verse e-novella, ‘Hello, Summer Vacay!’ at Amazon. Escaping from corporate city life into the heart of the Berkshire countryside, Ella Maloney had been expecting to find rural tranquillity and a chance to indulge in her favourite pastime – cooking. So when she meets a devastatingly delicious chef by the name of Ash Lawrence, Ella knows she’s died and gone to food heaven. Things go from divine to celestial for Ella, however, when her favourite top-rated TV cookery programme – Midnight Feast – comes looking for a venue to film their latest show. But while Ella is pulling out all the culinary stops to become their most successful contestant ever, Ash is busy cooking up the ultimate recipe for winning Ella’s heart – or should that be a recipe for disaster…? Every year at Christmastime, Marnie and her closest girlfriends mark their calendars for a cookie exchange. Everyone brings homemade cookies and a bottle of wine to share, but this year, it’s their stories that are especially important—the passion and hopefulness of new romance, the betrayal and disillusionment some relationships bring, the joys and fears of motherhood, the stress of financial troubles. On this evening, at least, the sisterly love they have for one another rises above it all. Celebrating courage and joy in spite of hard times and honoring the importance of woman’s friendships as well as the embracing bonds of community, the delightful novel speaks to us all. In addition to laughter and tears, the book is sprinkled with delicious cookie recipes. 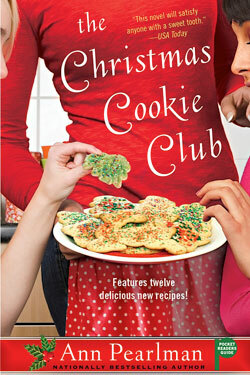 The Christmas Cookie Club has been translated into German, Dutch, Spanish, Portuguese, Chinese and Croatian becoming both an international and national bestseller. 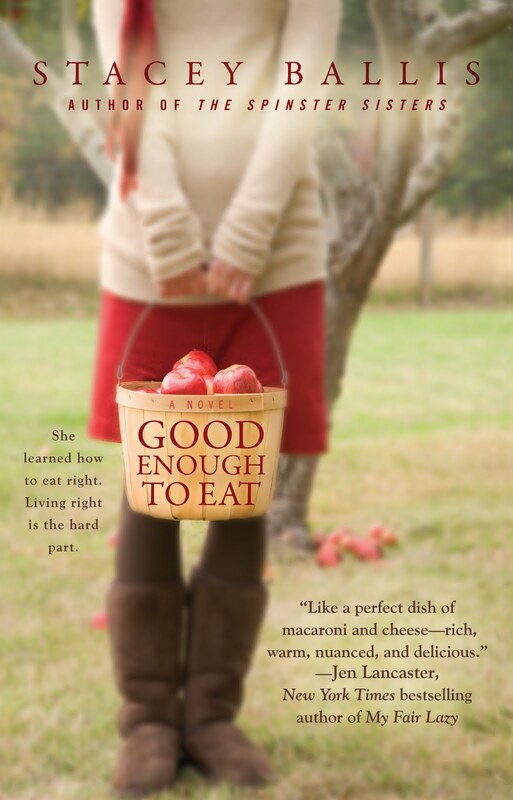 She learned how to eat right….living right is the hard part. Former lawyer Melanie Hoffman lost half her body weight and opened a gourmet take-out café specializing in healthy and delicious food. But the first healthy morning muffins are still warm from the oven when her husband announces that he is leaving her…for a woman twice her size. Reeling from her abandonment, she’s blindsided by a financial crisis. Desperate to relieve some of the money pressures, Melanie reaches out to a quirky roommate with a ton of baggage, moving her into both her home and her business. Things begin to look up when Melanie becomes involved in a budding romance with a local documentary filmmaker, but she’s not so sure she is really ready for love. In this warm and often laugh-out-loud novel, Melanie discovers that she still has a lot to learn about her friends, her relationships with men, and herself…and that her weight loss was just the beginning of an amazing journey that will transform her life from the inside out. Life is sweet for chocolate maker Chloe Lyon! Business is booming at her artisan chocolate-makers ‘Chocolate Wishes’ in the picture-perfect Lancashire village of Sticklepond – not least because all of Chloe’s sweet treats contain an inspirational prediction for each customer. If only her own life was as easy to read in the cards, perhaps Chloe could have foreseen being jilted at the altar! But Chloe has long put thoughts of love behind her – after all, life is busy enough, especially as she tries to sort out her friends’ tangled love lives and the village welcomes its new vicar, Raffy Sinclair. However, the village rumour mill goes into overdrive when it is revealed that Raffy is the distinctly unorthodox ex-front man of rock band ‘Mortal Ruin’ – and also happens to be Chloe’s first love, who left her broken-hearted.Whilst Chloe tries to ignore this blast from her past, will she discover that wishes can come true when you least expect it? A charming novel for chocoholics everywhere, perfect for fans of Katie Fforde, Jill Mansell and Carole Matthews. And if you haven’t checked out my previous blog posts about the food-themed books, The Secret Ingredient, and Aftertaste, you can do so here and here. Stay tuned for part two of this blog post! Have you read any of the books I’ve featured today? What do you like about books with a food-theme? Today’s Mouthwatering Moment is by my fab critique partner, Alli Sinclair, and is taken from her manuscript, Luna Tango. 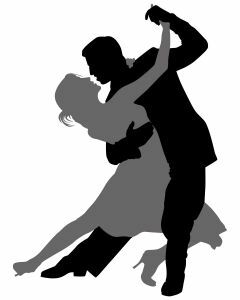 In Luna Tango, journalist Gabby McNally is trying to woo tango dancer Carlos Escudero, for a story. The problem is, the wooing tables appear to have turned. “Stand up straight!” he said, and she realised she had, in fact, angled her body slightly forward and her nose was dangerously close to the part of his neck where the cologne was. Pulling back, she tried to hide the shock from being wrenched out of her momentary lapse of reason. She hoped he hadn’t cottoned on to what she’d been doing, but his reaction told her he had. How embarrassing. She looked up to find his dark eyes watching her. Her body temperature soared, quickly reaching sauna level. “Yes?” she asked, not sure whether he was referring to the dance or the girly crush she’d developed. Man, now she was just like every other woman in Argentina. Before she had a chance to say a word, Carlos dipped her backwards and curls spilled across her face. Blowing them away with a large puff, she looked up at him, their faces inches apart. He held her there for what felt like an eternity, his strong arms wrapped firmly around her torso, their gaze not breaking, electricity zapping between them. Eventually, he guided her to the standing position and let go. Gabby smoothed down her dress, looking everywhere but directly at Carlos. “Now, you dance with Gualberto,” he said and sat down. 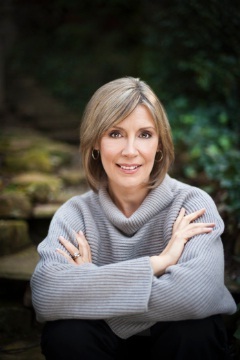 ~ Alli Sinclair writes romantic suspense set in South America that fuses the contemporary with historical. You can find Alli blogging about her passion for storytelling, culture, and travel at noveladventurers.blogspot.com. Accompanied by: Antonio Banderas serving Argentine and Chilean wine–any kind will do! 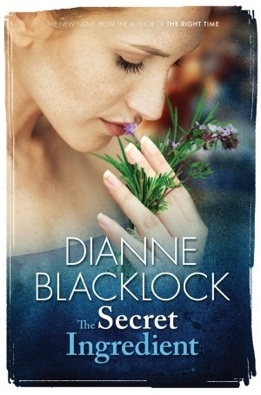 I’d like to welcome accomplished Australian author of women’s fiction novels, Dianne Blacklock to the blog! 1. Welcome Dianne, can you tell us a little about your book, THE SECRET INGREDIENT? Thanks for having me! THE SECRET INGREDIENT centres on Andie, who gave up her dreams of being a chef when she married Ross. He left a wife and three kids for her, so Andie feels she must put their relationship first – but in reality that translates to putting Ross first. After ten years she’s feeling restless and dissatisfied, Ross seems distant, and not a little secretive … After her marriage implodes, Andie sets about to take back her life, and fulfil her original dream, whatever the obstacles – one very large one being Dominic Gerou, the head chef in the restaurant where she finds work. 2. What do you think attracts readers to stories with a food theme? Perhaps it’s because it’s something we can all relate to – we all have to eat! Our lives revolve around food to a greater or lesser extent, we celebrate with food, families come together around food, people romance each other over food. 3. How long does it usually take you to write the first draft of a novel? Probably about 5-6 months of ‘real’ writing – now that I don’t have young children. But there can be anything up to 3 months of faffing about. 4. Do you think there is a ‘secret ingredient’ to having a successful career as an author? If there is, can you share it with me? Basically I think it’s a mixture of talent, discipline, and just plain luck! 5. What do you enjoy most about being an author? I love most when I’m totally in the zone, writing as fast as I can to keep up with my characters. Oh, and being able to wear tracksuit pants to work! 6. Is food a big part of your family life? 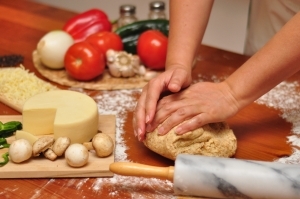 Do you have a signature meal or recipe that’s a favourite in your household? With four boys, food was certainly a big part of family life, but it was generally about quantity not quality! Fortunately as they grew older they began to appreciate more variety, though on birthdays and special occasions they still always ask for a regular baked dinner. But I reckon I cook a mean baked dinner, exactly like my mum’s. My ‘signature dish’ would have to be the plum pudding icecream I have been making in vast quantities for extended family and friends every Christmas for more than twenty years. 7. If you could have dinner with anyone in the world, who would you choose? Gosh, only one? I had to go through a whole list in my head first: George Clooney or Brad Pitt, so that I could ask them all about their humanitarian work (translation: so I could stare at them); Meryl Streep because I adore her; Barack Obama would make an interesting dinner companion, I would imagine, and Jon Stewart (U.S commentator & comedian) would be fascinating and hilarious … Too many interesting, intelligent, stunning people to choose from! But if I must narrow it down to one, I think it would have to be Aaron Sorkin, who is my favourite living writer. No, he doesn’t write novels, he writes for film and television (most notably The West Wing). I would love to hear all about his process, gather any tips, and just hope some of the magic rubbed off! 8. Do you find it difficult to keep coming up with new ideas for books? It does get more difficult – there are plenty of ideas floating around my head, but executing them in an original way is the challenge. I am wary of writing the same characters, treading the same ground, repeating myself. 9. Do you have any words of wisdom for aspiring authors? Read and write. Read as much as you can, then think about what worked in the book, and also what didn’t work. Try to establish a writing routine. Timetable it like anything else – paid work, exercise, housework, whatever you spend time doing on a regular basis. If you can’t find the time to write regularly, you’re not really serious about it. 10. Are you working on another book, what’s next for you? Speaking of establishing a routine, I’m settling into one after an extended break spent selling up and moving house. I’ll be doing little else for the next few months. For several years now I have had a book out in the second half of the year, but the move made that schedule impossible. So I’m working towards a March 2013 release, all going well. ~ Dianne Blacklock has been a teacher, trainer, counsellor, check-out chick, and even one of those annoying market researchers you avoid in shopping centres. Nowadays she tries not to annoy anyone by staying home and writing. She is the author of Call Waiting, Wife for Hire, Almost Perfect, False Advertising, Crossing Paths, Three’s a Crowd, The Right Time, and most recently, The Secret Ingredient. 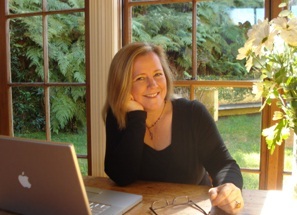 Visit Dianne and check out her fantastic books on her website here. Thanks for visiting the blog, Dianne! Today’s Mouthwatering Moment excerpt is from KEEPING SECRETS by Darlene Fredette. He wiggled the strawberry in the air. Samantha couldn’t resist. She grinned and leaned forward. Matt scooted closer and brought the berry to her lips. She stared into his eyes, opening her mouth. Matt smirked and dabbed the cream cheese on her nose. Samantha sat back, startled. “Two can play that game.” She dipped a finger in the cream cheese and wiped it across his nose. Matt let out a hearty laugh. 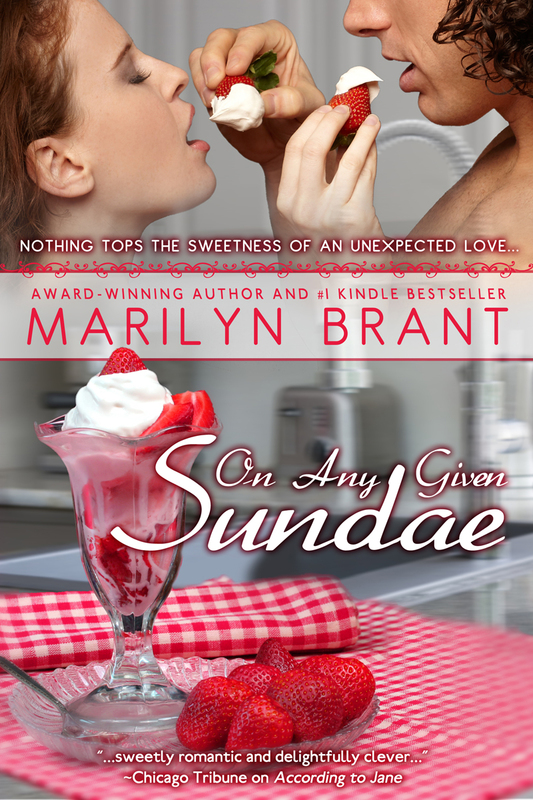 She selected another strawberry, dipped, and then held it to Matt’s lips. He leaned in, his lips parted, but she pulled the berry away. Samantha slowly licked the cream before biting off the tip of the strawberry. Samantha seductively nibbled another berry, keeping her eyes riveted on Matt, who was watching her every move. The strawberry fell, forgotten from her fingers, and landed on her lap. She swallowed hard and licked her lips. Darlene’s favourite meal: roast beef dinner with all the fixings: gravy, mash potatoes, carrots, corn, and of course finish the meal off with warm apple pie and ice cream! Darlene’s favourite drink: Kahlua, Coconut rum, and milk. It’s like a white Russian but I substitute the rum for the vodka, it’s much smoother. Darlene’s favourite indulgence: Strawberries. I just love them! Find out more about Darlene here. And find out more about Keeping Secrets here. Today I’d like to welcome Margareta Osborn to Sunday Lunch. 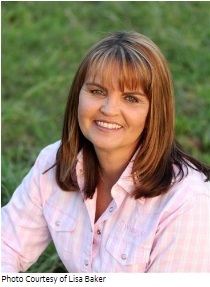 Margareta writes Australian rural fiction, and her debut novel, BELLA’S RUN, was released this year. 1. Can you tell us about a happy memory from your life that revolved around food? Throughout my childhood and teenage years, mum would serve a roast lunch every Sunday and you were expected to be there. As kids (there are three of us and I’m the middle ‘problem’ child) we’d go to Mass either the previous night or Sunday morning. Come 10.30am, Mum would crank up the oven, the vegies would be organised and then boiled to within an inch of their wilted lives. The roast was invariably beef, seeing my parents were dairy farmers and ran a few head of beef cattle as well. Lunch would be ready by 1pm, the boxing would be on the telly (have no idea why because none of us had the slightest interest in it), Dad would make us all a lime spider; he’d have a shandy. (It was the only time, as a child, I ever saw him drink alcohol.) We’d all sit around the table and eat, talk, argue, laugh, yell (that was me – ‘Mum, it’s MY turn to talk!’) and generally be rowdy. Now I look back, I realise just how special that was. 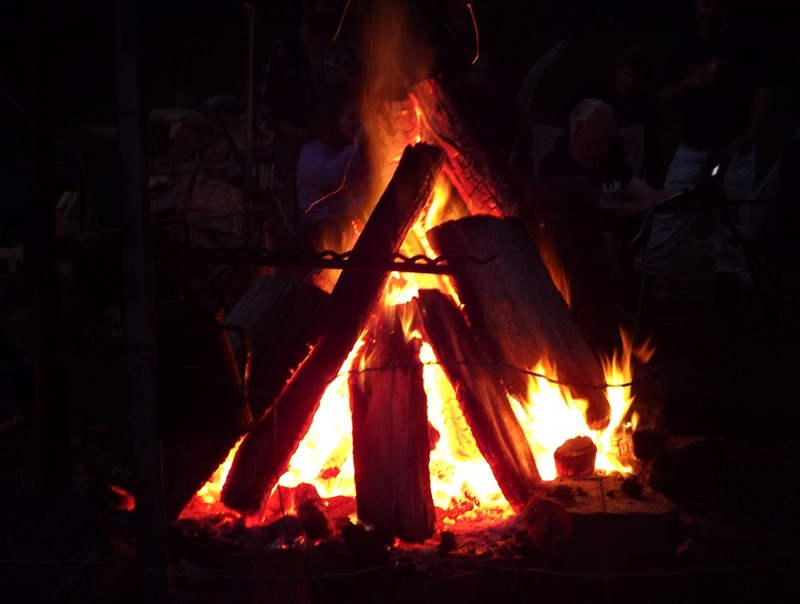 Another time, I was relief station cook for the weekend on a property in outback-western Queensland. I decided I’d give the stockmen a treat and make a pavlova. If you’ve read my book BELLA’S RUN, a snippet of this experience was included in the first chapter. Beating sixteen egg whites to froth in one mix master bowl can cause all sorts of problems. Let’s just say the clean up afterwards ensured a mate and I needed to drive the hour to town to find a drink (and to pickup two bottles of fresh cream and some punnets of strawberries to decorate the pav). The pavlova was sublime albeit a tad weird looking. My mate and I, well, we kind-of rolled home. 2. Do you have any food-related rituals or routines in your household, such as a specific meal for certain days of the week? We rarely have take-away. An easy meal tea (eg. on a weekend) is usually something like a spaghetti casserole (refer BELLA’S RUN again), homemade hamburgers, quiche or a sausage in bread (with salad or creamy potato bake). I also have a food ritual with one of my best friends. When both of us are having a difficult few weeks we catch up for lunch at either’s home. Menu: Heinz tomato soup made with hot milk (not water), crusty fresh bread, a can of cola and chocolate. Dreadful on the waist. Fabulous for the spirit. Drink: Bailey’s Irish Cream and Butterscotch Snaps…ice-cold glass of sparkling Moscato … Lemon Squash made with lemon cordial and freezing lemonade… shall I go on? Indulgence: Arnotts chocolate mint biscuits. Meal: Roast with rich gravy, crispy potatoes & vegies, apple pie with cream or my grandmother’s steamed jam pudding. 4. What’s the most revolting thing you’ve ever eaten? 5. If you have children, have you discovered any ingenious ways to hide vegetables in meals? P.S. I NEVER serve peas to my kids. 6. Is eating out at cafes and restaurants a regular part of your life? Do you have any favourite places you’d like to mention? Eat out? What’s that? So rare an occurrence around here it’s nearly extinct. 7. Do you eat while you write? Are there any particular foods or drinks you always have on hand while writing? M & M’s. My downfall. I started with the chocolate ones and then moved onto the crispy ones. They help me out when the muse goes to lunch. 8. If you could have dinner with anyone in the world, who would you choose? We lost her fourteen years ago and damn it all I am crying as I write this. When she died I was still in that young ‘it’s all about me’ phase of my life. I just wish I could have known her as a person – a friend – as well as a mother. I look around at girlfriends and women at the school where my children go, and how their mother’s are a huge part of their and their kid’s lives. How I wish we had that. But life goes on and you can’t change what God decrees. 9. Which one of the following types of cooks are you? Next season of MasterChef – lookout! I LOVE to cook, but I am none of the above. I do what my grandmother fostered in me, that old fashioned thing called ‘baking’. 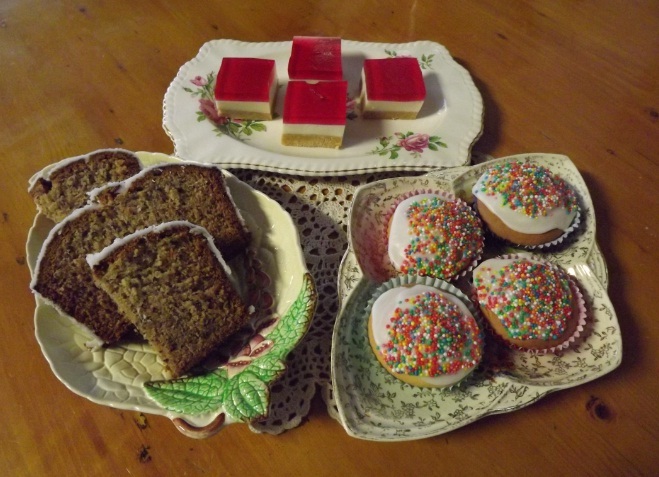 My children think their throats are cut, if they haven’t got homemade biscuits, cakes or slices in the cupboard/fridge for smoko/lunch/or ‘afters’. And then there are the friends at school whom I have to send a piece of jelly slice or ANZAC bickie coated in milk chocolate for as well. My oldest son reckoned he could have made a fortune selling his play lunch everyday. I do like to experiment with meal cooking but only so much. If you want a good, old fashioned, hearty country meal visit my place. If you want a newfangled ooh la la dish that people like me can’t pronounce, I suggest you visit someone else. 10. Do you have a favourite recipe you’d like to share? Oh golly. Which one is the question?! Raspberry Jelly made with 1 cup boiling water and ½ cup cool water. Note: Add 1 dessertspoon of gelatine to the jelly crystals BEFORE adding water. This makes the jelly firmer and stops it from sliding off the slice when you serve. Crush biscuits using a bamix, food processor or put into plastic bag and smash with rolling pin. (Or you could do what one of my best mates does and bag up biscuits really well and run over with your four-wheel-drive 🙂 ) Tip crushed biscuits into a bowl. Pour melted butter into biscuits. Mix until combined. Pour into slice tray and press down firmly. Place in fridge for five minutes or so to set. Pour condensed milk into bowl. Add boiling water (with dissolved gelatine as described above) and stir. Add lemon juice. Stir some more until mixture thickens. Take biscuit base from fridge and pour milk mixture into tray. Spread until milk mixture is level. Place back in fridge to set. Once milk mixture is set, pour jelly onto top of slice. I find it easier to leave slice tray in fridge as I pour the jelly on. This means a lot less mess if you happen to spill it 😉 Leave slice in fridge until jelly is set. Thanks for being on the blog, Margareta, it was an absolute pleasure! Oh, and happy Mother’s day to you and all the mothers out there! 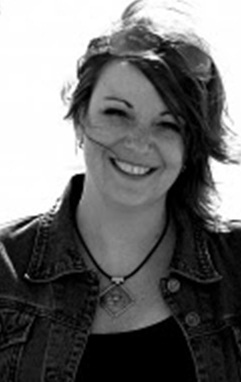 Find out more about Margareta at her website. Elizabeth caught Rob staring at her again across his mother’s dinner table. He was surprisingly silent amidst the family chaos. She, meanwhile, was left to answer questions galore from Camilla, Sammie and even an occasional triplet. Dishes clattered as roasted potatoes, manicotti, grilled carrots and tossed salad with crouton cubes were passed back and forth. Hunks of bread slathered in garlic butter were distributed to the crew. Wine or soft drinks were offered. Nobody dared refuse anything. “None of that stinking low-carb stuff for us Gabinarris,” Rob’s brother Tony whispered to her with one eyebrow cocked. They all watched as Rob and Tony’s mom, Alessandra, heaped several spoonfuls of potatoes onto little Sammie’s plate. Alessandra stopped abruptly, ladle in the air. “What happened to my music?” She looked accusingly around the table. “Roberto, was it you?” she said. Rob shook his head, wide-eyed but with upturned lips, and his mother’s gaze fixed on Tony. “Oh, all right. Yes, it was me.” Tony rolled his eyes and threw his hands in the air. His mother continued to glare at him. “I’ll go put it back on,” Tony said. “You do that, Antonio.” She set down her bowl and crossed her arms. “Fooling with my CD player,” she muttered until the strains of Madonna’s classic “Get Into the Groove” floated into the dining room. “Hmm. That’s better,” she said when Tony returned. And the clattering, clanking, chattiness and general chaos resumed again at the table. Fifteen minutes later, Elizabeth had managed to mostly relax. The children’s queries kept her occupied and Tony’s wife tossed encouraging smiles her way. She released a deep, pent-up breath. She’d almost done it. She’d nearly made it through the meal without saying or doing anything too embarrassing, thank goodness. In another half hour she’d be able to go home. She glanced around the lively table. The triplets were making a game of poking holes in their bread. Sammie was still hiccupping. Camilla and her mother were giggling about something they’d seen in a Disney video. Rob and Tony were in the midst of a rousing debate over the previous NFC and AFC champs and the players who’d make the best draft picks for the fall season. Everyone grinned, talked, munched. She took a big bite of manicotti. Thanks for sharing your excerpt, Marilyn! To find out more about Marilyn and her books visit her website. Don’t forget to comment below and be in the running for some great prizes as part of my Mouthwatering May special event! I’m thrilled to welcome author Trisha Ashley to the blog today as part of my Mouthwatering May special event. 1) Welcome Trisha! Can you tell us a little about your new book, Chocolate Shoes and Wedding Blues? It’s set in rural West Lancashire, like several of my recent books. I didn’t start out to write a series – they’re all stand-alone novels – but there’s some overlapping of places and characters. The village in Chocolate Shoes and Wedding Blues is Sticklepond, where A Winter’s Tale and Chocolate Wishes also took place. My heroine, Tansy, inherits a run-down shoe shop from her great-aunt and, when her life goes all Cinderella without a happy ending, she throws herself into recreating it as a bridal shoe emporium. It is a huge success, which is a bit unfortunate for reclusive Shakespearian actor Ivo Hawksley, who has moved next door in search of some peace and quiet. Like Tansy, he has a few demons from his past to deal with – it’s all about coming to terms with what has happened in the past and how it has shaped you, so you can move on. I suppose I’d describe my books as romantic comedy, though the humour arises from the characters themselves – I don’t try and write in a funny way, I just write. 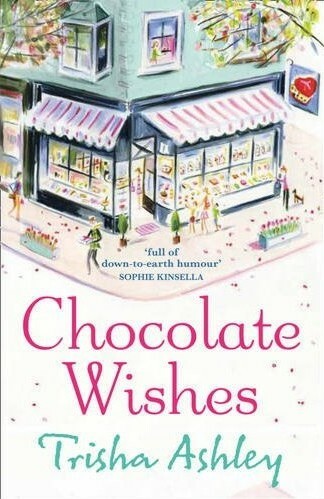 2) You also have a book called Chocolate Wishes. What do you love about writing stories with a food theme? Food is often a strong theme in my books because it can be comforting, exciting, reassuring, celebratory or simply an expression of love. I have no cookery training, it’s all just recipes I picked up along the way, or learned from my mother. Other strong themes in my novels are gardening, especially roses and knot gardens, family (even if sometimes a little dysfunctional) and friendship, from which can grow all kinds of love. 3) How long does it usually take you to write the first draft of a novel? On average, I suppose about four months, though the ideas for the next book will have been fermenting gently on the backburner while I was finishing off the last one. I have twice written a first draft in a fortnight in an unstoppable outpouring, which was exhilarating even if a trifle exhausting. 4) You share recipes in your books. Do you have an all time favourite recipe? The rich dark fruit cake recipe in Wedding Tiers: I use it for birthdays, book launches, Christmas… It’s easy and always works. The very worst that can happen is that the edges catch a little, or the fruit sinks to the bottom, but it will taste wonderful anyway. 5) If you could name three essential ingredients that make up a great novel, what would they be? The obvious answer would be: a beginning, middle and an end. By that I mean that a book should immediately transport you to a different place and then take you on a journey through it, with stop-offs to see the sights and have a few adventures. If a reader writes and says that I have provided them with that escape hatch, that Alice-through-the-looking-glass experience, then there can be no finer compliment. 6) What do you love most about being an author? I usually write in first person and I adore becoming someone else and slipping off into a different world. But when all the characters have taken on a life of their own and start having conversations in your head when you’re trying to go to sleep at night, that can be annoying. I know if I don’t put the light on and write it all down, I’ll have forgotten it by morning. I also enjoy taking two very different people, building the chemistry between them and then finding a way to bring them together. There have often been traumas in their past lives that make this outcome difficult to achieve, but I find that challenge exciting. But the bottom line is, to quote Stephen King (I do love his book called On Writing! ), writing is the most fun you can have on your own! 7) Do you have any words of wisdom for aspiring authors? This may sound very obvious, but it has to be said: writers write, it’s in the nature of the job description. You write every day and feel guilty and bereft if you have finished a novel and not started on the next. So, don’t just think about it, do it. Get in the writing habit, if only for ten or fifteen minutes a day and then build on that. However busy you are, if you really want to write, you will find the time. 1) If you can’t get started at all, read Natalie Goldberg’s book, ‘Writing Down the Bones’. 2) Once you’ve got into the daily writing habit, then do read Stephen King’s book, ‘On Writing ‘ – he really tells it like it is. 3) Read my novel Happy Endings – the heroine, Tina Devino, is a novelist who also runs a manuscript critique service and there are letters to and from aspiring novelists throughout the book. You will learn a lot about what – and what not – to do! 4) Read a lot of recently published novels in the genre you are aiming at. Consider what length they are and what the readers of that kind of book expect from a novel. 5) You will know your main characters are three dimensional when they start having conversations with each other in your head. But if you never get beyond chapter three don’t despair and give up, but try short stories instead: some of us are built to be sprinters and others for the marathon, you just have to find the writing form that suits you best. Thank you so much Trisha for taking the time to visit the blog, you’ve given some valuable advice for aspiring authors, and your book cover is beautiful! ~ Trisha Ashley was born in St. Helens, Lancashire, and now lives in the beautiful surroundings of North Wales. 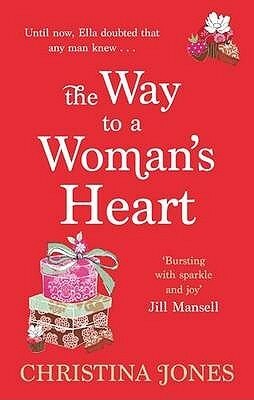 She has written twelve romantic comedies and her last novel, The Magic of Christmas, was a Sunday Times bestseller. A Winter’s Tale and Wedding Tiers have been previously shortlisted for the Melissa Nathan award for romantic comedy. Every Woman for Herself was voted one of the top three romantic novels of the last fifty years.Visit Trisha’s website here, and twitter here. “Of course,” he says, raising his eyes to meet mine. I watch as he fills his plate, picks up a bottle of wine and two glasses, and joins me at the table. He pours us each a glass of red wine. “Well? He asks, his eyes focused, unblinking, on my face. I spear a piece of meat, which yields easily to my fork, and raise it to my lips. I take a deep breath and close my eyes…The flavors are at once complex and earthy. I taste every ingredient: the thick, slightly gamy taste of the boar; the subtle undercurrent of the fennel, which, when braised, releases a delicate licorice perfume; the gentle creaminess of the beans; the smoky heat of the roasted peppers; the harmonious balance of the wine. Meredith’s favorite meal/indulgence: I love mussels. Any time, any way. (I’ve even been known to eat them for breakfast!) My favorite preparations are either steamed in white wine and shallot butter, or grilled and tossed with basil breadcrumbs. Just add a warm, crusty baguette and a glass of chilled Sancerre and I am a happy, happy girl. Thanks for sharing your Mouthwatering Moment, Meredith! Visit Meredith online here, and on twitter here. 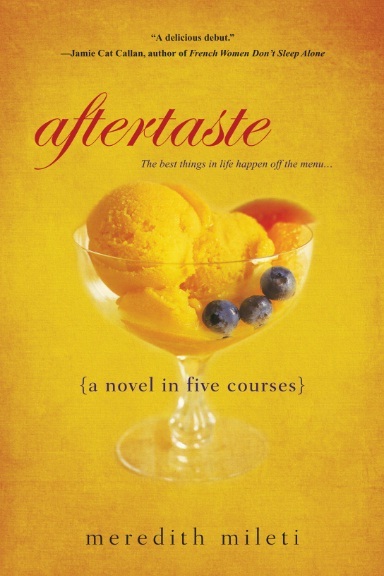 To WIN one of two copies of AFTERTASTE, please leave a comment below. This competition is open WORLDWIDE and will be drawn at the end of the month. Thanks for your generosity, Meredith! (All comments left by blog subscribers will also be put in the draw for a Mouthwatering May special prize). Preparation time: Varies, from months to years. 1. Prepare by opening a new word document or a new page on your notepad, and give it a title, eg: ‘Best Novel Ever’, or ‘I’ll Think Of A Title Later’. 3. Consume beverages and snacks. 4. Introduce one main character, a goal, and splash in some conflict (save the rest for later). 5. Sprinkle a hook or cliffhanger at the end of chapter one to entice further devouring of the story. 6. Add some of the other characters and sub-plots, and stir in some emotion and mystery. 7. Consume more beverages and snacks. 8. Splash in some humour and keep drizzling in the organic dialogue throughout the whole baking/writing process. 9. Combine the motivation with some more of the conflict for a spicy mixture. 10. If adding the optional ingredient of sexual tension, squeeze a little in now. 11. Continue stirring the plot and the sub-plots together so they combine well, making sure to keep topping up the emotion. 12. Consume beverages and snacks. 13. Add in the remaining conflict, sexual tension, mystery, and hooks. 14. Finish by placing the cup of resolution and happy endings on top, and decorate with a dollop of romance. 15. Bake in a closed drawer or backed-up file on your computer, and leave completely alone for at least a couple of weeks, or more if you’ve forgotten to attend to necessary tasks such as showering, cleaning, feeding the family and pets, seeing real live people, checking the mail…etc. 16. Open the file and give it a taste test. Read through it and make any obvious changes and improvements, adding more of the ingredients as needed. 17. For best results, get a trusted friend to taste test it too. 19. Bake it for a little longer if necessary. 20. Pull bits of it apart and throw them out. But just in case, wrap them up and store them safely away for future reference. 21. Remove the excess words and overused ingredients. 22. Repeat steps 11 and 13. 23. Add extra sweetness to the dollop of romance if required. 24. Decorate and plate-up the finished piece with all the pizazz you can find. 25. Hand it over to a professional, who’ll probably get you to start over at step 20 again. 26. Repeat steps until it tastes just right, or a deadline forces you to serve it up. 27. 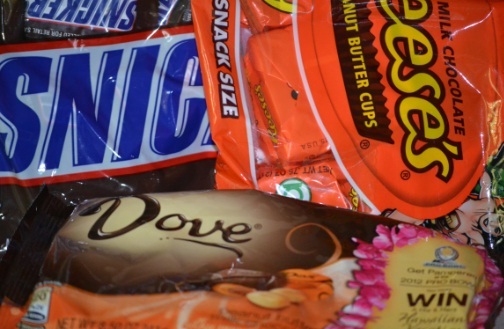 Consume beverages and snacks to reward yourself for all the hard work. 28. Attend to the necessary tasks that you’ve once again neglected. 30. Begin at step 1 all over again. *Note: Results may vary between people. Recipe not suitable for freezing.